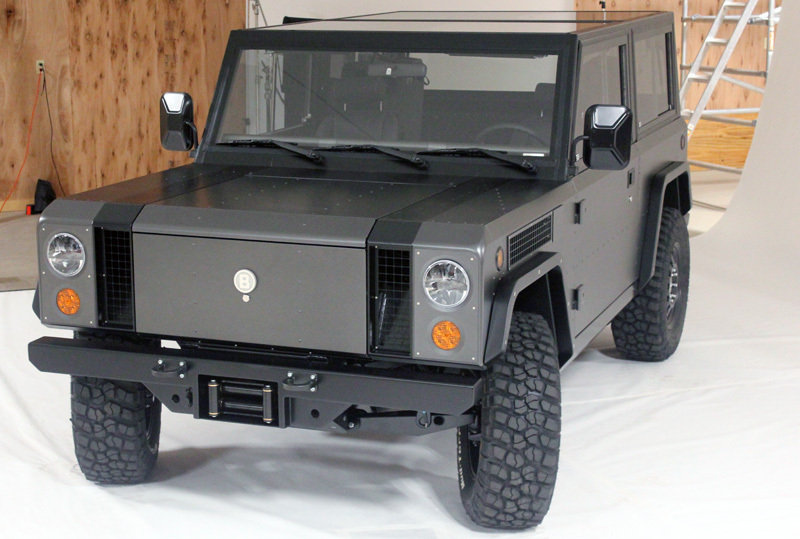 If start-up EV maker Bollinger Motors is successful in its fund-raising and starts production as planned in 2019, a Bollinger 4-door electric sport truck will join the original 2-door in a new market segment – battery-electric trucks optimized for off-road work and play. Company founder, CEO and chief designer Robert Bollinger says the 4-door will be 14 inches longer overall than the 2-door model, for a nose-to-tail length of 159 inches. The chassis will be 9 inches longer, as will the new model’s 114-inch wheelbase. While ground clearance and angles of approach and departure are unchanged,the longer wheelbase will cut the 4-door truck’s breakover angle to 31 degrees from the 2-door model’s 33 degrees. The breakover angle measures the steepest crest a vehicle can surmount without getting high-centered, or hung up on its undercarriage. The Bollinger 4-door electric sport truck will have the same 60 kWh and 100 kWh battery options as the 2-door. Estimates of range per charge haven’t been released, although it is logical to assume that the longer 4-door is at least slightly heavier than the 3,900-pound 2-door and that the extra weight will reduce range-per-charge somewhat. Range for the 2-door was estimated at 120 miles for the 60 kWh version and 200 miles for the 100-kWh model. 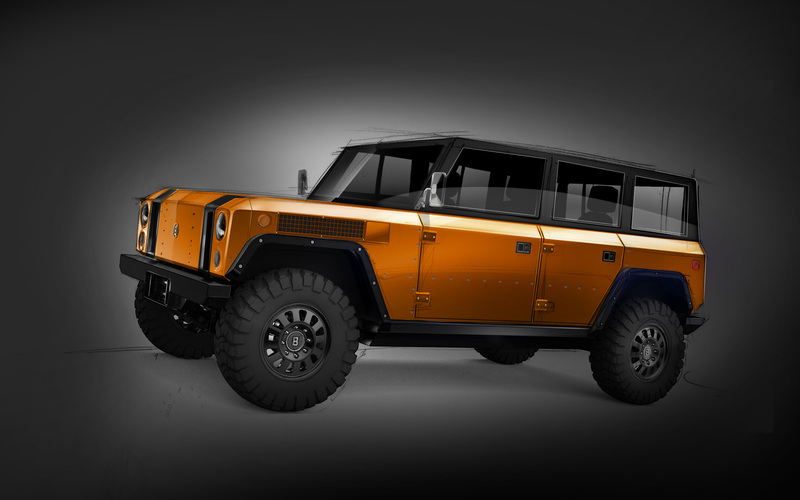 The sketch released today also shows off a new color – orange – that will be available in production models, augmenting the metallic charcoal shown on the prototype 2-door Bollinger B1 that was unveiled at the end of July.